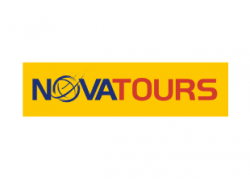 NOVATOURS is the most popular tour operator in the Baltic States, with more than 10 years of experience in Latvia. NOVATOURS offers interesting, beautiful and eventful journeys with a minimum cost and with a higher level of service. Everyone can find the most suitable tour - families with children, couples and those who are looking for active holidays with sports activities and calm vacations with SPA treatments.